Richard Cotton has always been interested in the biochemical genetics of human disease and has recently focussed on mutation. He is particularly interested in improving mutation detection technologies to make them cheaper and simpler, so that they can be more widely applied, and holds several patents in the area. 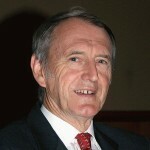 In June 2006, he convened a meeting, co-sponsored by WHO, which initiated the Human Variome Project. This project aims to collect worldwide genetic variation and its associated phenotype affecting human health. He is the author of over 300 scientific papers and 3 patents.